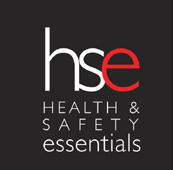 Health and Safety Essentials is a consultancy service specialising in the safe management of chemicals in the workplace. HSE can provide you with a distinctive service by providing essential consulting and training services in relation to hazardous substances, dangerous goods and general chemical storage and use. Unlike many traditional consultancy services, HSE will work with you to find the most effective solution for your organisation. The solution will depend on the situation, the resources and skills available within the organisation, the time available and your budget. HSE provides an alternative to larger, more diverse consultancy services by providing specialised, cost-effective expertise.